After 10 years of little movement in the interest rate market, global rates have begun to shift. The shift has many implications, across asset classes, and the shift is atypical of historic movements. Mr. Tull will look at certain underlying themes driving the interest rate environment, highlight certain global risks, and discuss how might these risks impact a company and steps one can take to mitigate going forward. 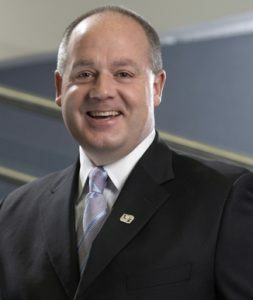 Mr. Tull is the Managing Director & Global Head of the Financial Risk Solutions Group for Fifth Third Bank. He is responsible for the trading and delivery of risk management products to the corporate and institutional client bases throughout North America, Europe and Asia. He and his teams are responsible for evaluating the financial impact of interest rates, foreign currency, commodity and equity movements on businesses and for developing strategies to mitigate and monetize the associated risks. Additionally, Mr. Tull and his teams advise clients on economic and political developments and the impact those developments may have on a company’s domestic and international operations. Mr. Tull joined the bank in 2000 and has been a contributor to the Dow Jones News Service, Bloomberg, MSNBC, Spark Spread, and other financial periodicals. Further, he presents at various professional forums including NAPE, COGA, AFP and P&L Seminars on risk management issues and solution sets. Mr. Tull is also a member of the Bank for International Settlements (BIS) Market Participant Group, an appointed position. Mr. Tull has over 25 years of capital markets experience in developing comprehensive risk management solutions.